Ananth Kumar was suffering from cancer. He had returned last month after undergoing treatment at a cancer institute in US' New York city. 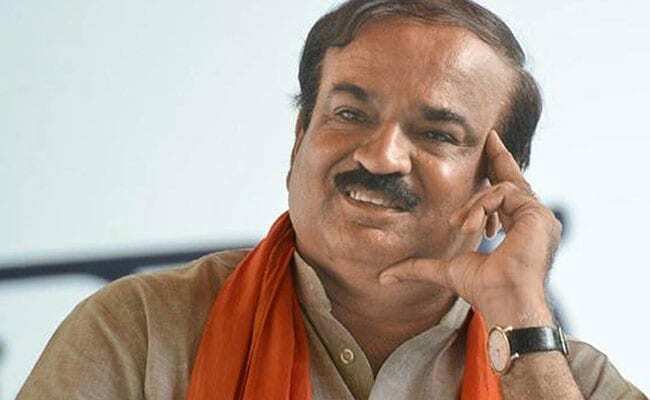 Union minister and senior BJP leader Ananth Kumar died at 2 am this morning at a hospital in Karnataka capital Bengaluru at the age of 59. The union minister was suffering from cancer. He had returned last month after undergoing treatment at a cancer institute in US' New York city. Mr Kumar's wife Tejaswini and his two daughters were with him in his last moments. His body will be kept at Bengaluru's National College for last tributes. He was one of the few ministers to have served in the earlier NDA government led by Atal Bihari Vajpayee. 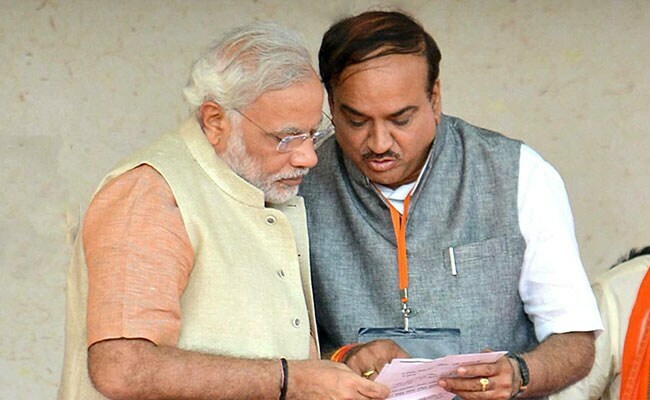 A five-time Member of Parliament or MP from Bengluru constituency, Ananth Kumar held charge of two key ministries -- Chemicals and Fertilizers since May 2014 and Parliamentary Affairs since July 2016 in the Narendra Modi government. Several leaders have taken to social media to express grief over his death. President Ram Nath Kovind expressed grief over Ananth Kumar's death, saying the passing of the "veteran" parliamentarian was "a tragic loss to public life in our country and particularly for the people of Karnataka." PM Narendra Modi said Ananth Kumar was "a remarkable leader" who "went on to serve society with utmost diligence and compassion". Union Minister JP Nadda and Madhya Pradesh Chief Minister Shivraj Singh Chouhan pay their tributes to Union Minister Ananth Kumar at his residence in Bengaluru, Karnataka. PM Modi visits the house of Ananth Kumar in Bengaluru. I am deeply saddened by the untimely demise of Shri Ananth Kumar ji. My thoughts and prayers are with his family in this hour of pain and distress. Uttar Pradesh Chief Minister Yogi Adityanath condoled the death of Union Minister Ananth Kumar, saying he was a "popular leader" who had a "deep attachment" with the masses. In a statement, Yogi Adityanath said, "Ananth Kumar was a popular leader, and had deep attachment with the public. He had effectively discharged his responsibilities pertaining to the organisation and government." Uttar Pradesh Deputy Chief Minister Keshav Prasad Maurya in a tweet condoled the senior Bharatiya Janata Party (BJP) leader's demise, terming it as an "irreparable loss" for the saffron party. Jammu and Kashmir Governor Satya Pal Malik expressed grief over the Ananth Kumar death. Describing him as a "diligent leader" who devoted his life to public service, Mr Malik said it would be difficult to fill the void left by Ananth Kumar in the country's politics. The governor prayed for peace to the departed soul and strength to the bereaved family in its hour of grief, an official release said. 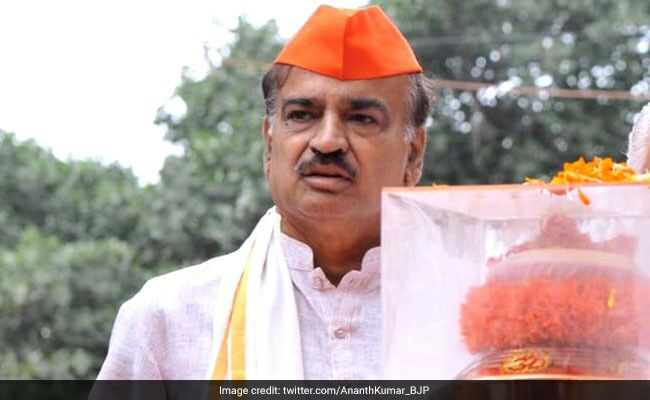 RSS Dakshin Madhya Kshetra Sanghachalak V Niagara lauded Ananth Kumar for his "wonderful" job as union chemicals and fertilisers minister by introducing neem coated fertilisers, thus putting an end to shortage of manure. "Ananth Kumar's death is an irreparable loss to the nation. It is indeed a big vacuum in politics as well as to the philanthropic services he rendered," he said in a statement. RSS Dakshin Kshetra Sahkaryavah N Thippeswamy recalled Ananth Kumar's role as a Swayamsevak and his active participation in the fight against emergency. 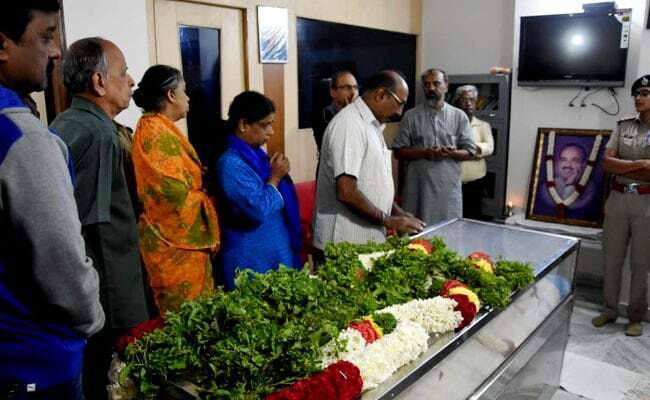 RSS Karnataka unit leaders Ma Venkataramu Dagestan Pattanashetti also paid rich tributes to Kumar. BJP lawmaker Bandaru Dattatreya said Ananth Kumar had rendered yeoman's services as a Union Minister in the NDA governments led by Atal Bihari Vajpayee and Narendra Modi. He also hailed the services of Ananth Kumar to the Bharatiya Janata Party. Telangana Caretaker Chief Minister K Chandrasekhar Rao condoled the death of Union Minister Ananth Kumar. Mr Rao remembered Ananth Kumar's services as a parliamentarian and political leader and conveyed condolences to the bereaved family, a release from his office said. The BJP's Tamil Nadu state President Tamilisai Soundararajan, said Ananth Kumar's demise was not only a loss for the party's Karnataka unit, but also for the country. He "efficiently coordinated" Parliament's affairs and was instrumental in the BJP's growth in south India, she said on Twitter. "He was a guide for Tamil Nadu BJP unit," she added. MK Stalin, Leader of Opposition in the Tamil Nadu state assembly, condoled Ananth Kumar's death. "Very sad to hear the demise of Union Minister Thiru (Mr) Ananth Kumar. My sincere condolences to his family and near ones," the Dravida Munnetra Kazhagam (DMK) leader said in a tweet. Tamil Nadu Chief Minister K Palaniswami condoled the death of Union Minister Ananth Kumar. Mr Palaniswami said Ananth Kumar had joined politics at a young age with the aim of doing public service. "He had the distinction of being elected MP for six times from Bengaluru South from 1996 to 2014," he said in a statement, expressing sympathy with the leader's family. Bihar Chief Minister Nitish Kumar expressed profound grief over Ananth Kumar's death. "Union minister Ananth Kumar's death is a saddening incident. His death has caused an irreparable loss to the politics. Kumar was an energetic, hardworking and a noted social worker. He had significant contributions to Karnataka's politics," Kumar said in a statement. The Chief Minister prayed to the almighty to grant eternal peace to the departed soul and give strength to the bereaved family relatives, followers and fans to bear the loss, the statement said. The body of union minister Ananth Kumar will be brought to Karnataka BJP office at 8 AM on Tuesday. It will be kept for public darshan till 10 AM in Malleshwaram state BJP office. The body will be shifted to National College Grounds at 10 AM. Cremation will take place at 1 PM in Chamarajpet TR Mill crematorium. The RSS today paid tribute to Ananth Kumar. In a tweet, the RSS' sarkaryavah Suresh Joshi, said, "A socially committed popular leader and a steadfast swayamsevak, Sri Anantha Kumar has left us. Our deepest condolences to the family. 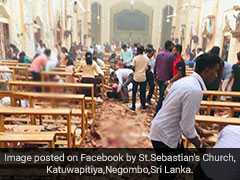 We pray that the Almighty may grant them the strength to bear this unbearable loss." Vasundhara Raje expressed her grief over the death of union minister Vasundhara Raje. "Today I'm really saddened.We had known each other for a long time, we came to Yuva Morcha together. Ananth Kumar was a dedicated, sympathetic & hardworking politician. That is a very hardworking combination to find. We'll miss him in the time to come," Vasundhara Raje said, according to news agency ANI. "I'm shocked by the passing away of my senior colleague and senior BJP leader Shri Ananth Kumar Ji. As a good human being & as a leader he carried an impeccable record in serving the society. His advise & words of wisdom will always keep motivating me. May his soul rest in peace," minister Kiren Rijiju said in a tweet. Andhra Pradesh chief minister N Chandrababu Naidu tweeted his condolences, saying he was "deeply saddened by the sudden demise of Union Minister H.N. Ananth Kumar ji, an able administrator and popular leader. My condolences to the bereaved family in their hour of grief." Deeply saddened by the sudden demise of Union Minister H.N. Ananth Kumar ji, an able administrator and popular leader. My condolences to the bereaved family in their hour of grief. Deeply saddened to hear of the passing of Union Minister Shri. Ananth Kumar. My deepest sympathies go out to his family, friends and colleagues. Shocked and deeply pained by the sudden and untimely demise of our leader Union Minister #AnanthKumar ji. His contribution towards society, service to the people will be remembered forever. My deepest condolences to his family, friends, followers, karyakarta. 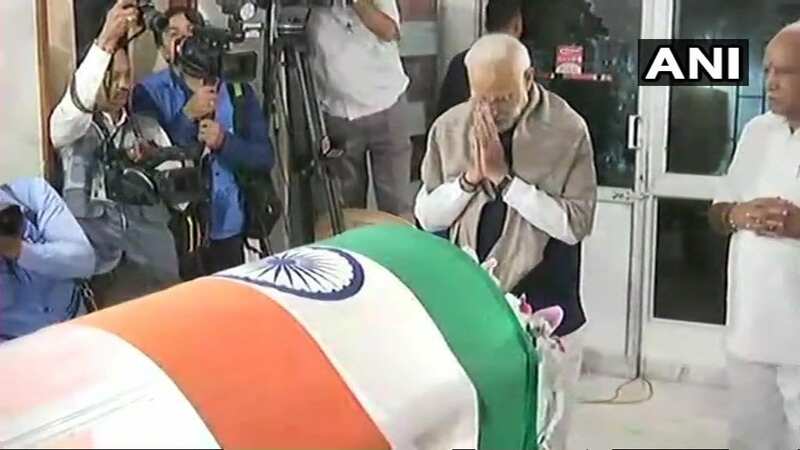 Condoling the death of union minister LK Advani was quoted by news agency ANI as saying that he was "extremely shocked an saddened by the untimely demise of union minister Ananth Kumar." "Ananth Kumar was a very popular, dynamic leader of the poor & downtrodden. May the departed soul rest in peace," he said. Arun Jaitley On Ananth Kumar: "He will be remembered for his works as parliamentarian and a political leader"
Arun Jaitley tweeted to pay his respects to Ananth Kumar. In the tweet, he said,"Extremely pained by the sudden demise of Union Minister and my colleague, Shri Ananth Kumar Ji. He will always be remembered for his works as parliamentarian and a political leader. My thoughts & prayers are with his family. May God render peace to the departed soul." Extremely pained by the sudden demise of Union Minister and my colleague, Shri Ananth Kumar Ji. He will always be remembered for his works as parliamentarian and a political leader. My thoughts & prayers are with his family. May God render peace to the departed soul. 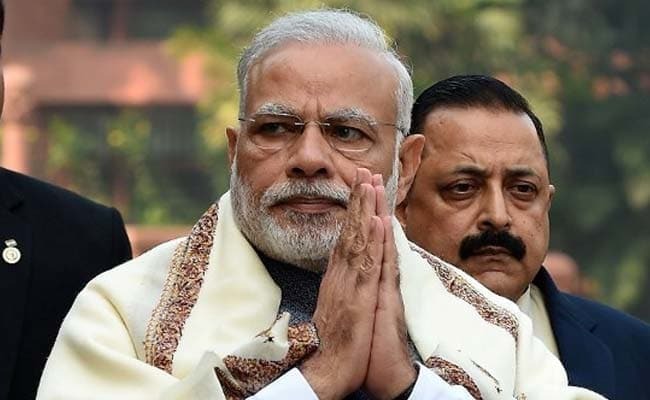 Prime Minister Narendra Modi is likely to chair a special meeting of the Union Cabinet today to condole the demise of senior minister Ananth Kumar, official sources said. The Karnataka government has declared a three-day state mourning till November 14 as a mark of respect to Union Parliamentary Affairs Minister Ananth Kumar, who died early in the morning today. 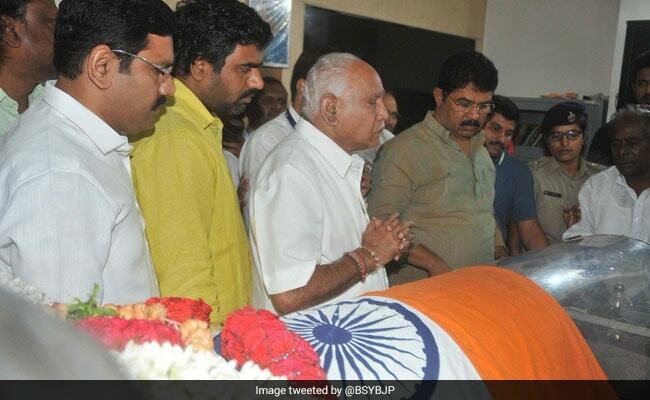 Karnataka governor Vajubhai Vala paid his last respects to union minister Ananth Kumar. Foreign minister Sushma Swaraj said in a tweet that she was "pained" to know about Ananth Kumar's death. "His death is a personal loss for me," she tweeted. I am pained to know about the sad demise of Shri Ananth Kumar. He was like my younger brother. His death is a personal loss for me. 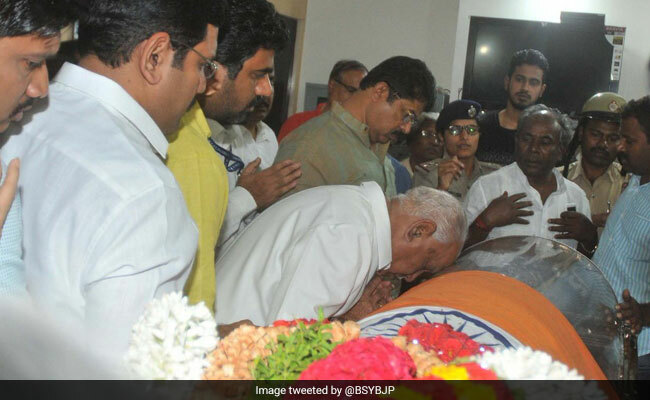 Senior BJP leader BS Yeddyurappa tweeted expressing shock and grief over the death of union minister Ananth Kumar. "I am under deep grief to hear about the untimely demise of my friend and union minister Shri Ananth Kumar ji. He worked tirelessly to strengthen the BJP in Karnataka and nation. May his soul rest in peace and God give strength to bear his loss to his family," he said in the tweet. Union minister Ananth Kumar's last rites will be held on Tuesday. Schools, colleges and government offices in Karnataka will remain closed today. Bihar chief minister Nitish Kumar condoles Ananth Kumar's death: "Hardworking politician & an admired social worker"
"Ananth Kumarji was a hardworking politician & an admired social worker. He had a huge contribution in Karnataka politics. He will be always remembered for his good work. His demise is saddening," Bihar chief minister Nitish Kumar said, according to news agency ANI. "Saddened by the untimely demise of Ananth Kumar ji who dedicated his entire life towards strengthening BJP & in the service of the Nation. My deepest condolences to his family & loved ones in this hour of grief. Om Shanti," union minister Smriti Irani said in a tweet. "His dynamism, energy and dedication towards the people remains a shining example for all in public life. My heartfelt condolences to his family, friends and well wishers," Assam chief minister Sarbananda Sonowal said. Deeply saddened to learn about the untimely demise of Union Minister Ananth Kumar ji. His dynamism, energy and dedication towards the people remains a shining example for all in public life. My heartfelt condolences to his family, friends and well wishers. Union minister Ananth Kumar's body will be moved to Bengaluru's National College grounds for public tributes. Ananth Kumar's family is still deciding whether to hold his funeral today or tomorrow. "Saddened at the passing away of Ananth Kumar ji, six time MP and Union cabinet minister. My heartfelt condolences to his family, friends and supporters," Mamata Banerjee said in a tweet. There will be a three-day mourning over the death of union minister Ananth Kumar today, according to news agency ANI. A one-day holiday has been declared for today, news agency ANI said, quoting the union home ministry. To condole the death of union minister Ananth Kumar, it has been decided that he will be accorded a state funeral. The National Flag will also be flown at half mast across the country today. Karnataka Chief Minister HD Kumaraswamy on Monday expressed grief over the death of Union Minister Ananth Kumar, describing him as a "value based" politician who made significant contribution to the country as a parliamentarian and an union minister, according to news agency Press Trust of India. 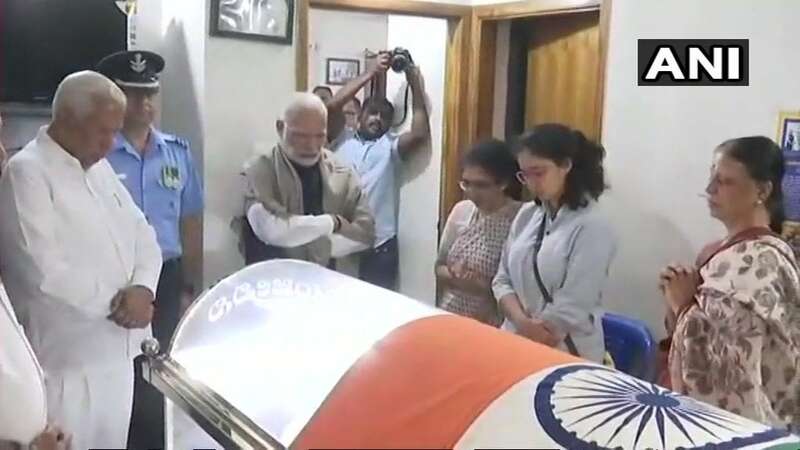 "Kumar's pro-people attitude and activities made him apple of the eye of Bengalurians," Mr Kumaraswamy said in a condolence message, according to PTI. "Our families had a friendship beyond politics. He always valued and had given priority to friendship. I have lost a great friend in his death," he said. Amit Shah expressed his grief over union minister Ananth Kumar's death, in a series of tweets. "I am grief stricken to learn about the untimely demise of our senior leader and union minister Shri Ananth Kumar ji," Amit Shah said in a tweet. I am grief stricken to learn about the untimely demise of our senior leader and union minister Shri Ananth Kumar ji. He served the nation and organisation with unparalleled zeal and dedication. Ananth ji worked tirelessly to strengthen the BJP in the state of Karnataka. Arvind Kejriwal tweeted over the death of union minister Ananth Kumar. "Very sad to hear about the sad demise of Sh Anant Kumar ji. My heartfelt condolences to the Family. May his Soul rest in peace," he tweeted. Very sad to hear about the sad demise of Sh Anant Kumar ji. My heartfelt condolences to the Family. May his Soul rest in peace. Prime Minister Narendra Modi tweeted his condolences over the death of union minister Ananth Kumar. "Ananth Kumar Ji was an able administrator, who handled many ministerial portfolios and was a great asset to the BJP organisation. He worked hard to strengthen the Party in Karnataka, particularly in Bengaluru and surrounding areas. He was always accessible to his constituents," he said in a series of tweets. I spoke to his wife, Dr. Tejaswini Ji and expressed condolences on the passing away of Shri Ananth Kumar Ji. My thoughts are with his entire family, friends and supporters in this hour of grief and sadness. Om Shanti. Union minister Ananth Kumar, 59, died at 2 am Monday at Karnataka's capital Bengaluru. He was suffering from cancer. Senior BJP leader and cabinet minister Ananth Kumardied at 2 this morning at a hospital in Bengaluru. He was 59. The union minister was suffering from cancer and had returned from the US last month after treatment at a cancer institute in New York.